In late 1941 and early 1942 the Nazis built camps in occupied Poland whose sole purpose was to kill people on an industrial scale. Belzec, Chełmno, Sobibor, and Treblinka camps were built to murder hundreds of thousands of people using carbon monoxide gas. They were located in heavily wooded areas, away from population centres, but connected to the railway network. On disembarking the trains, victims were ordered to undress and leave their possessions behind, and were directed to a ‘cleaning area’. Any valuables found were stolen for the Nazi war effort. At Belzec, Sobibor, and Treblinka they were herded into the gas chamber, into which exhaust from tank engines was pumped. The chamber was left sealed for around half an hour. At Chełmno people were murdered in gas vans. The bodies were taken to pits where they were burned. 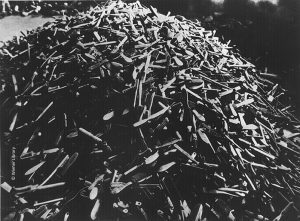 Around two million people were killed in this way – almost nobody survived. 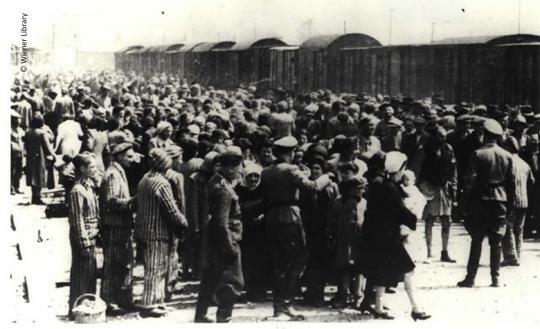 Two further camps in Poland are usually categorised as extermination camps – Majdanek, and Auschwitz-Birkenau, both of which also served as forced labour camps. (Read more about Auschwitz-Birkenau here). 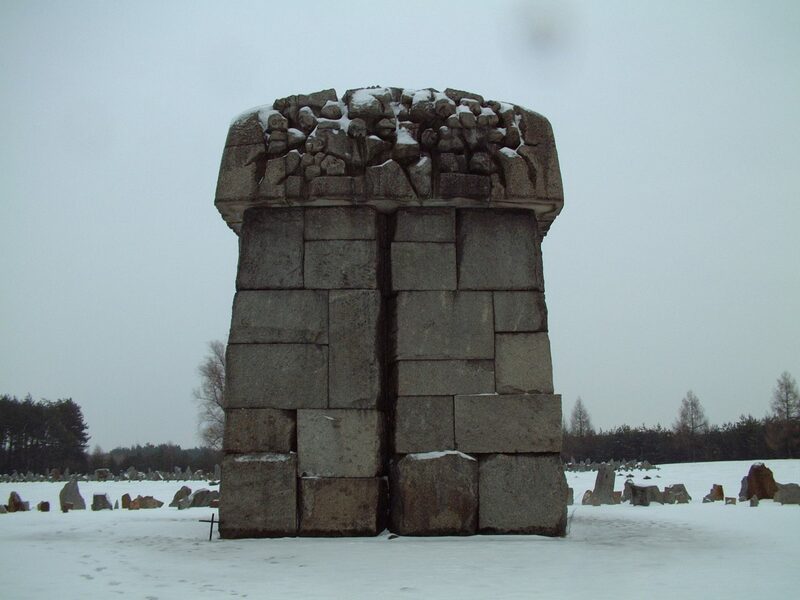 Majdanek was unusual – both for its huge size and the fact it lay at the edge of Lublin, close to residential suburbs. Majdanek was primarily a labour and concentration camp, but one where tens of thousands of Jews were worked to death or shot. Gas chambers were also constructed and used. 78,000 people died at the camp, of whom 58,000 were Jewish. Other camps were built outside occupied Poland by the Nazis and their allies, which murdered hundreds of thousands of people, including Maly Trostenets in Belarus, Sajmište in Serbia, Janowska in Ukraine, and Jasenovac in Croatia (operated by the Croatian Ustaše regime). On 2 August 1943 over 1,000 Jewish prisoners revolted at the Treblinka extermination camp in the east of occupied Poland. 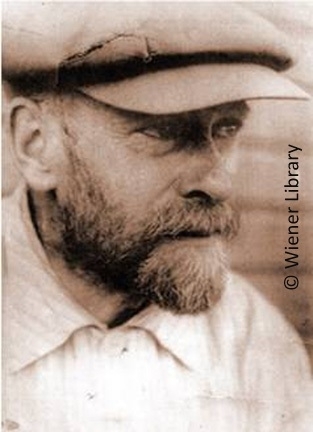 Janusz Korczak was an inspirational teacher and writer who cared passionately about the rights and welfare of children. He founded an orphanage in Warsaw and stayed with the children through the Ghetto and transport to the Treblinka death camp.